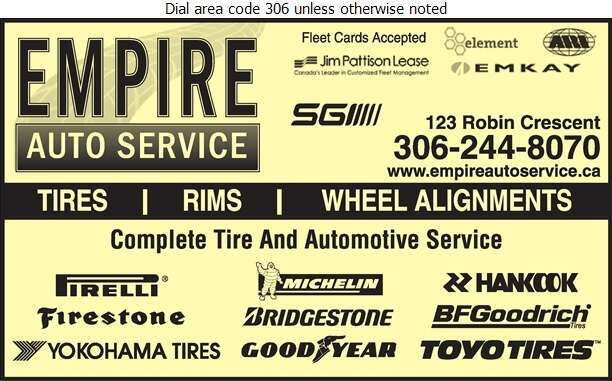 Located in the airport area behind the Saskatoon Inn, Empire Auto Service - your local Integra Tire Auto Centre is your one stop automotive shop for all your vehicle's maintenance service and repairs, for all makes and models. 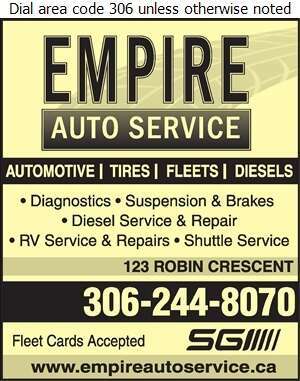 From basic and general services to the more complex diagnostics and repairs, we will take care of you. We will take the time to accurately diagnose and repair your vehicle and guarantee quality service and repair every time.